In this course, employees will learn how to define discrimination and sexual harassment. They’ll also learn how to maintain a professional work environment, develop conflict resolution skills and lots more. See our complete library of foundational courses available to use at no additional cost! 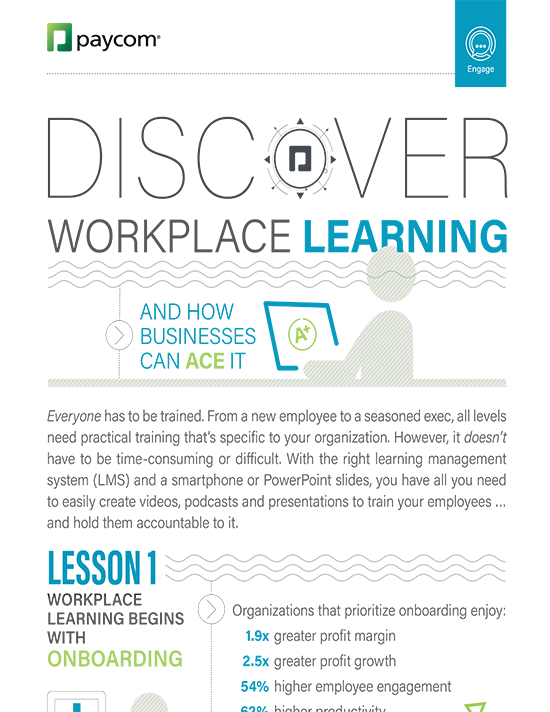 From new hires to seasoned execs, every employee needs practical training specific to your organization. 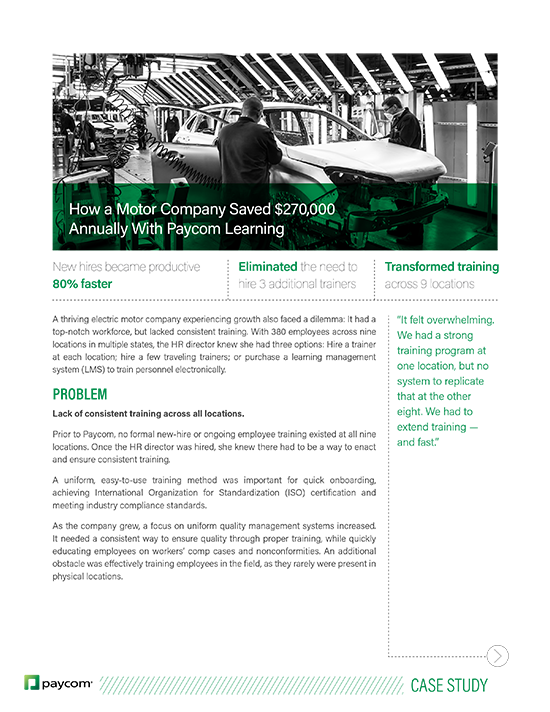 With Paycom Learning, it’s easy to keep them in compliance and informed on certifications, rules, processes and more – with consistent instruction, regardless of physical location or head count. Paycom Learning ties seamlessly to the rest of our application, so courses can align with workforce goals and performance. 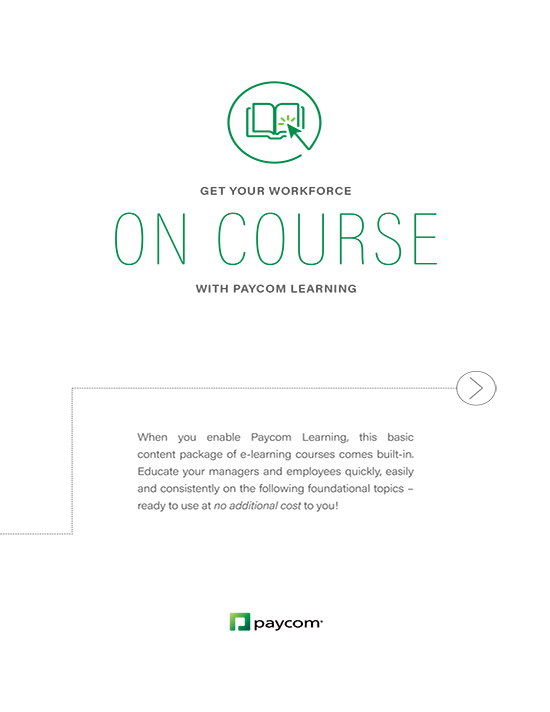 While Paycom Learning allows you to create training courses quickly and easily, it also includes a built-in library of courses on foundational topics. These are available for your unlimited use at no additional cost with your purchase of the Paycom Learning tool. In this internet age, we leave little pieces of information about ourselves everywhere we go. So how we can prevent those pieces from adding up into one big problem? This course covers best practices to protect you and your company’s data from cyberattacks. Ethics would be so much easier to navigate if we all had an angel on one shoulder and a devil on the other. But we don’t, and furthermore, ethical decisions aren’t always in black and white. However, measures exist that you can take to make the best choices and build trust in the workplace. Your employees are your greatest asset. In other words, they’re worth ensuring that your business serves as a safe environment. That begins with preventing workplace violence, and that begins with recognizing the signs of potential problems. Today’s headlines are rife with accusations of discrimination and harassment — exactly the kind of exposure no organization wants. It takes the entire workforce to create and foster an environment that is professional, safe and equal for all, and their first step is knowing where the line is drawn, including state-specific information. 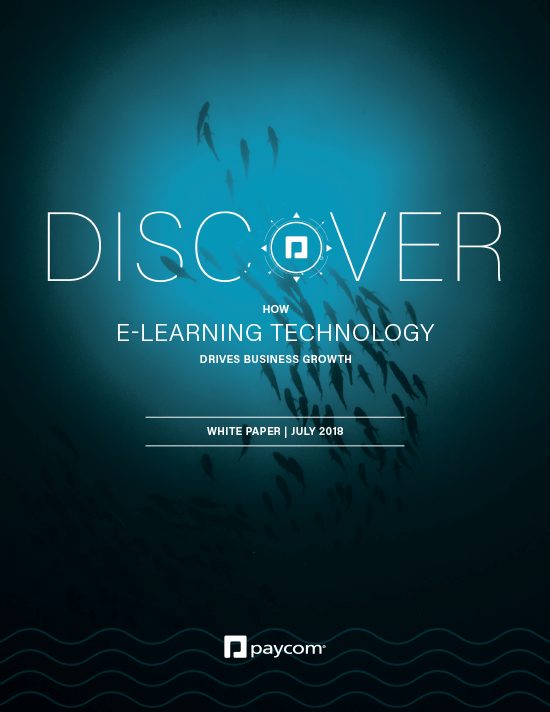 Explore the value of a practical, scalable training solution in our free downloadable toolkit.